Buildings that crumble as they’re fired upon and awe-inspiring explosions that make your jaw drop. Guns which are modelled off their real-life counterparts and perform in combat as you would expect, in particular you will have to manage recoil and predict bullet drop. Speeding past someone at 30mph and managing to pinpoint a blade right between the eyes of an unsuspecting German just dampens the experience for me somewhat. 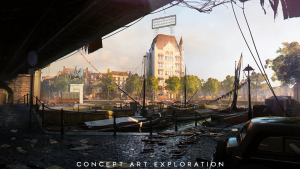 Battlefield V focuses on two main gameplay packages, the single player story and the critically acclaimed online multiplayer. ‘Firestorm’ the game’s spin on popular emerging game mode ‘Battle Royale’ has been announced for March 2019. The decision to release this mode so late into the game’s life cycle is a bit of a bizarre one considering the amount of big releases in this period of the gaming season and considering its direct rival released with a Battle Royale mode on the disc. Questionable realism aside and focusing on what is actually included on the disc, what the single story provides is an interesting take on the WW2 genre. You will experience the war through the eyes of three very different soldiers, seeing events unfold as different races and for the first time in a Battlefield game you’ll also play as a female soldier. Arguably the selling point for the series and the area Battlefield really shines is in it’s 32 v 32 multiplayer arena. Few games can support consistent and reliable gameplay of such a large scale, and coupled with destructible environments and competitive graphics, the series often finds itself a favourite of PC players. For the benefit of those who haven’t played a Battlefield game, you will take charge of one of four classes: Assault, Medic, Support and Recon. Each class has their own speciality or niche: Assault is the standard class for medium ranged combat and specialises in vehicle destruction, Medics are close ranged and specialise in distributing med packs, the Support class is another medium ranged class which focuses on supplying ammo to team mates and finally the recon class are the furthest from the action using their pinpoint accuracy with powerful sniper rifles. 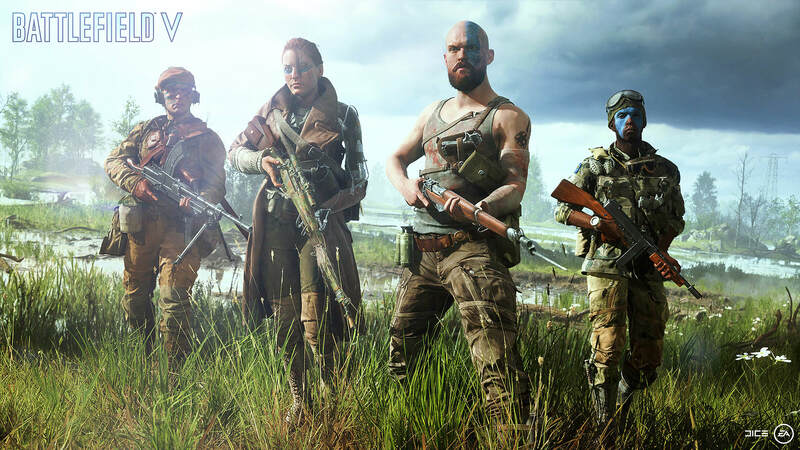 At its best Battlefield V is four friends jumping online together and taking to the streets of Rotterdam together. One of your friends calling out enemies, another supplying all the ammo you could possibly need as another provides cover from enemy vehicles… all whilst under the protecting eye of your medic who’s ready to patch up any damage you may take. On launch the game boasts 8 multiplayer maps for you to wreak havoc on, you’ll traverse snowy terrain driving a tank in Norway and storm a train overlooking the iconic bridge of Rotterdam. Battlefield will provide you with a very diverse set of maps, some which will make very good use of vehicles. If you are picking up Battlefield V for the first time, this late into the game’s life cycle, there will undoubtedly be something of an adjustment period. The added mechanics and the emphasis on teamwork as well as realistic recoil patterns can take some getting used to for those who are more accustomed to arcade styled shooters. 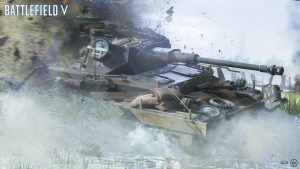 Ultimately Battlefield V doesn’t stray too far from its formula, and the proven developers will continue to expand upon their product with quality of life improvements, patches to fix bugs (which there have been a fair few since launch) and balance issues as well as add new guns and maps that will keep fans entertained all year round. 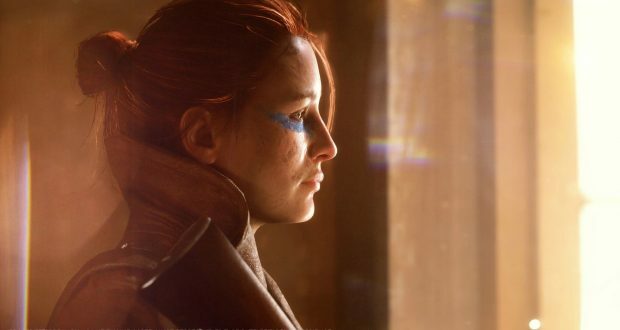 Battlefield V’s single player feels out of place at times with questions over realism and stealthy sections which feel a tad out of place. However, its multiplayer delivers the same experience fans have been enjoying for many years. What is provided on the disc combined with what we can expect over the next few months makes Battlefield V a game you will definitely want to experience.